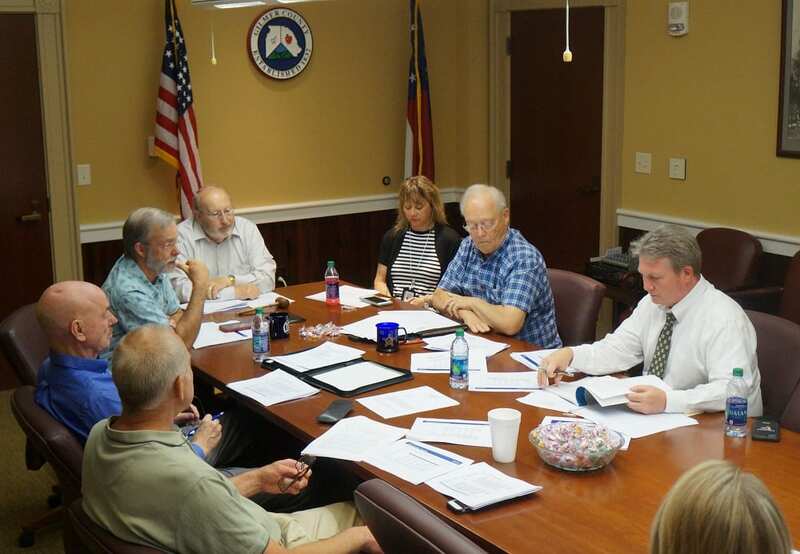 ELLIJAY, Ga. – The Gilmer County Board of Commissioners sat with departments and offices alike this month to look at proposed budgets that will make up the county’s finances in 2019. At this time, these are all proposed budgets from the Department Heads and Elected Officials. 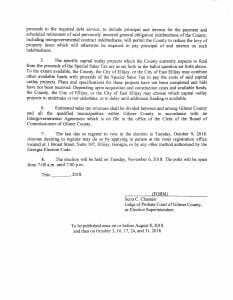 This means that the county’s coming meetings on Tuesday, October 16, and Wednesday, October 17, will offer discussion as well as an expected Special Called Meeting later in the month to discuss cuts and balancing. 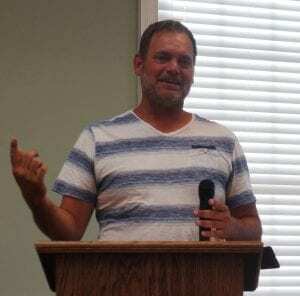 While Gilmer County Commission Chairman Charlie Paris said he wished to look at increases in the department head’s salaries, no concrete number was set yet. Paris had mentioned $3,000 in one meeting, but later said it would be looking at this topic again when he could see a clearer picture of the budget and needs. 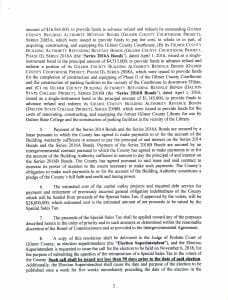 Additionally, concerns were raised through several meetings about capital budget requests and constraints on that side of the budget. As struggles continue with employee pay in many departments, the board is looking at a decrease in healthcare costs for the first time in years. As they have finalized numbers on the savings and their impact on the budget, an unexpected event occurred. 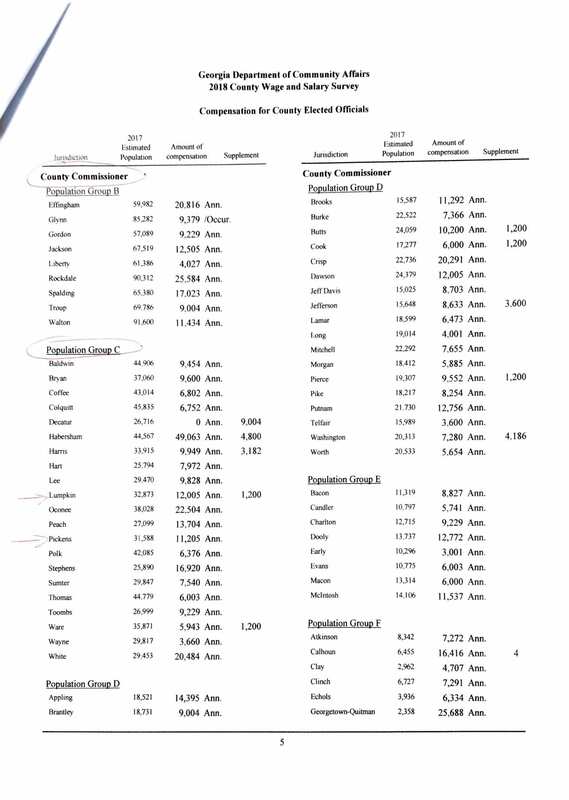 According to the county’s current 2019 budget request spreadsheet, they are currently looking at $686,894.42 difference of revenue over expenditures. 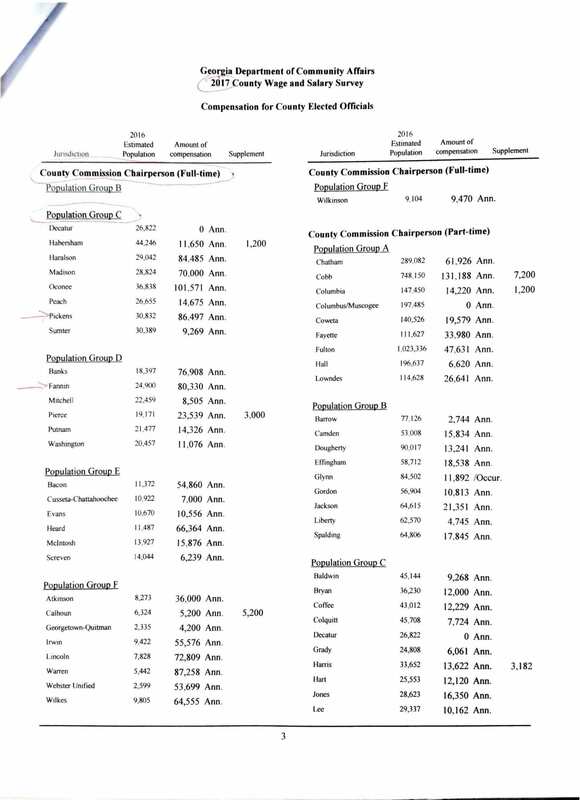 This difference was discovered after the end of these meetings as the final numbers were calculated. 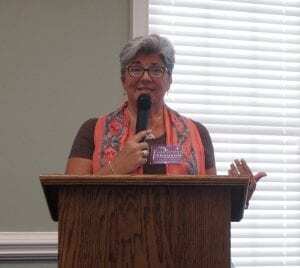 According to Gilmer County Finance Officer Sandi Holden, a large portion of this revenue over expenditures is made from the Health Insurance savings. However, she did note that the county could still have items come up in the budget as they have only gone through the budget once during these meetings. The county is preparing to revisit these in coming meetings. Additionally, the difference here is only on the Maintenance & Operations part of the budget. The capital budget is still to be discussed and analyzed in the coming meetings as well. Holden told FYN she cannot remember, in the eight budgets she has worked on, ever being in the black after the initial meetings. Each video is logged for individual departments unless multiple departments are under single purviews like Roads and bridges with solid waste under Public Works or Probate and Elections. One of the Animal Shelter’s major requests is for a full-time employee at 40 hours/week and a 50 cent rais for two of its current employees. This cost falls under the Maintenance and Operations budget, but in capital requests, the Animal Shelter is looking for a new truck as the shelter’s truck gets excessive use through animal sharing with other states. The large accruement of miles adds extra wear, however, discussion in the budget meeting may have already found a truck to donate in order to cut the capital expense. There is also a request for a storage shed for equipment. This as well may be offset by a request in maintenance for a larger shed, meaning the Animal Shelter may receive their old shed. The Board of Commissioners began speaking in their own meeting as Post Commissioner Travis Crouch brought up a subject concerning his position after he leaves. Expressing feelings that the Post Commissioners should receive more pay for the work and effort they put into the county, Crouch suggested an increase in salary. 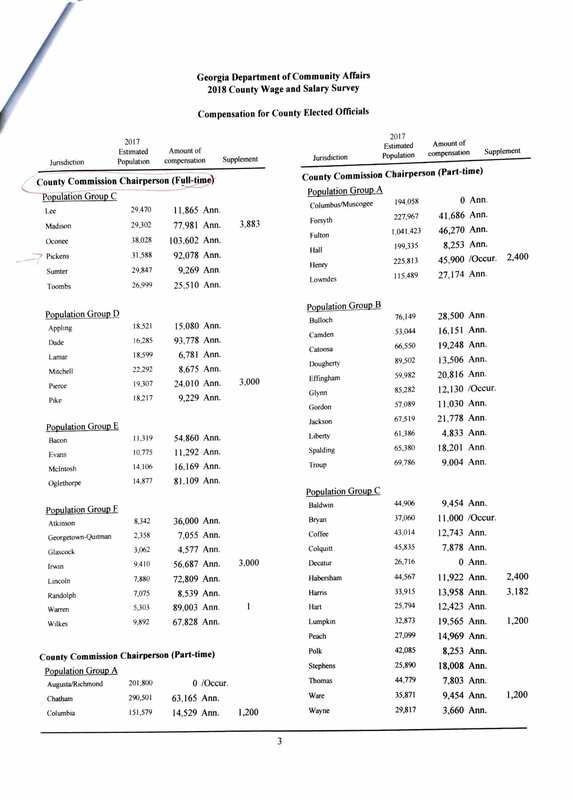 Currently, the Post Commissioners receive a salary of 10% of what the Commission Chairman is paid. The suggestion in the meeting was to raise this to 20%. 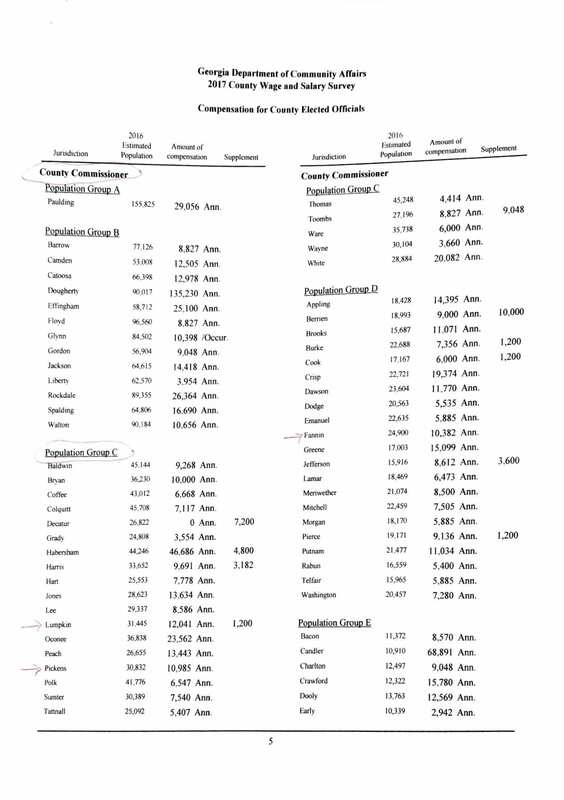 However, Crouch would receive none of this increase as not only will he not be in office in 2019, a Post Commissioner cannot take advantage of the raise until a new post commissioner is elected or the current one is reelected. While this does mean an increase for the coming Post Commissioner Karleen Ferguson, it also means that Post Commissioner Dallas Miller will not receive a raise in salary until his post’s next election cycle if re-elected. Another major item on the Commissioner’s budget is funding for the recently reinvigorated push for dynamic welcome signage at the county line. 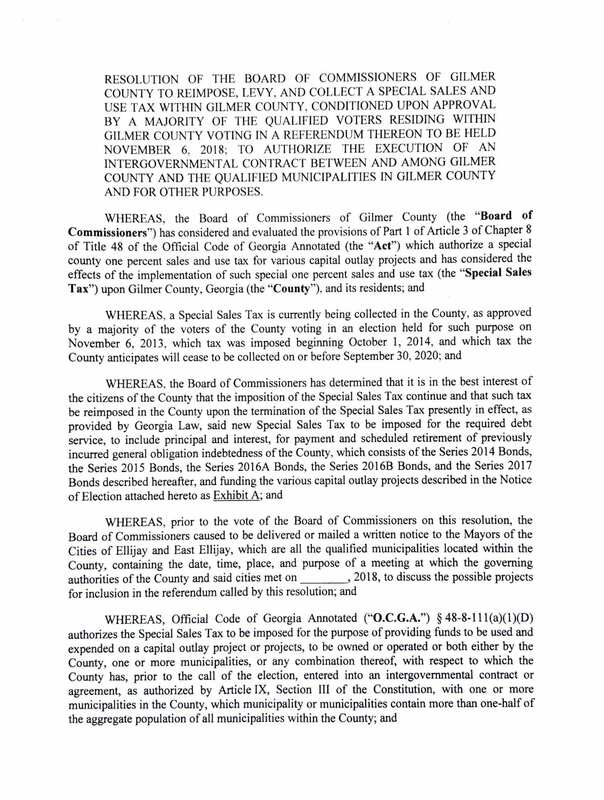 It was reintroduced into discussion last month as citizens pushed for the county’s help in acquiring state recognition as the Wrestling Capital of Georgia. 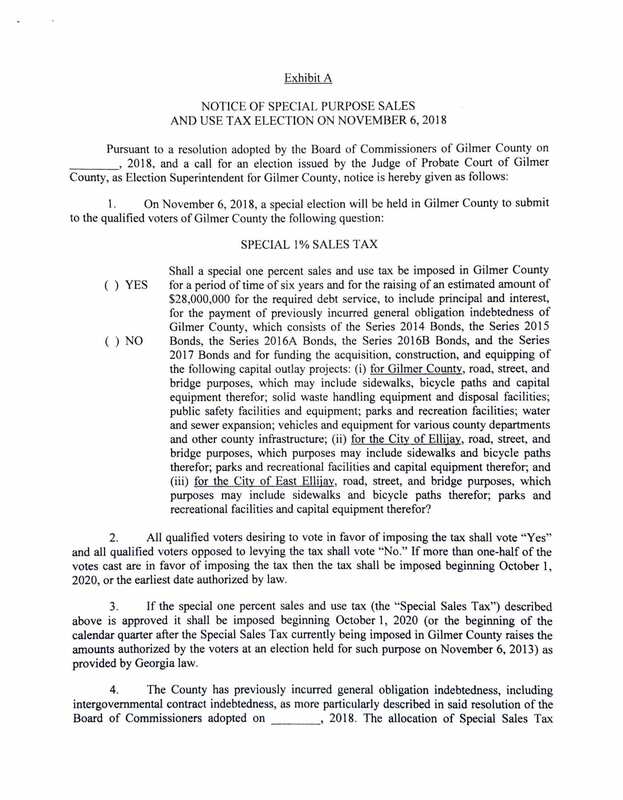 The commissioner’s decided to go further and incorporate the two state-capital recognitions the county has already received, Apple Capital and Mountain Biking Capital, and consider building a better county sign at the border welcoming travelers to the county and providing quick information about current events. 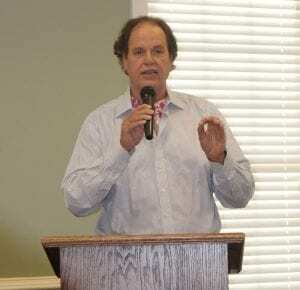 With updates to the Chamber’s coming Welcome Center on the square in downtown Ellijay, the Gilmer Chamber is looking at funding strains across the organization as discussion arose about changing the split in Hotel/Motel Tax (see Board splits on Hotel/Motel). Discussion included changing the split from 70/30 to 60/40, still in the Chamber’s favor. 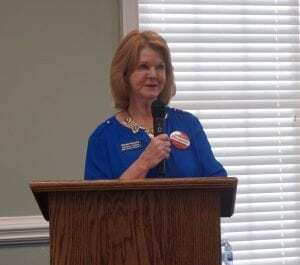 Chamber President/CEO Paige Green disagreed, calling the change a short-term answer with long-term detriment. While officially, the split has not been renegotiated, discussion continued about the expectations for Chamber Reports and duties in the future. Additionally, Paris also disagreed with changing the split. Miller did not indicate a leaning to either side saying that he would look at it if the budget demanded it. The Clerk of Court’s office saw a $9,000 increase in supplies requests over last year’s budget due to increases in mandatory e-filings. However, the board is considering moving this to capital expenses as much of the need is for new computer equipment for the office. There is also a $20,000 increase over this year’s budget as the office has lost three people in the last year with only two being replaced. Believing they are going to need to replace the third person as well now, they noted this as the major reason for the increase. Like most of the departments, requests for salary and wages increases for the department were forefront. Again, the commissioners noted they are looking to offset this in Health insurance savings, but are waiting to see final numbers on the savings and budgets before final adoption. The Appalachian Judicial Circuit is looking at a $150,000 budget increase next year as they add another administrative position to the office. Also in wages, the office is looking to add a 5% increase to “spacer” positions in the office. Spacer positions are classified as state employees and get benefits from the state. 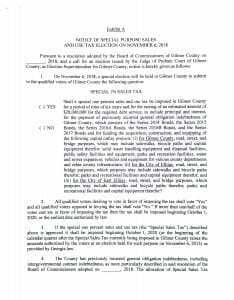 Their pay, however, ultimately comes from the county as the state pays them and the county reimburses the state. In capital expenditures, the District Attorney’s office is looking to change audio/visual networks in the county’s courtrooms. District Attorney Alison Sosebee noted this is a need throughout the circuit. The request is to install the network instead of the current system of wheeling a single cart used for tv and audio evidence to the different courtrooms. The new system would individually upgrade all but one of the county’s courtrooms. The county has indicated its intentions to move the offices of the Extension Agency into another location as they are looking to sell the building and land that the current office sits on. Noting continuing maintenance costs and issues, they spoke about possible locations and needs that the agency could be interested in. They are also looking at increasing education/training expenses and travel as classes are coming in Columbus, Ohio. With expected continuations in overtime and education/training, rises in related expenses came from the Fire/EMA Department. But the major issue with the department in 2019 lies in the capital budget as vehicles and equipment are in need of replacing. Pressing the highest priority in ambulances, the department noted that emergency calls have been increasing in 2018 alongside the continuing transport calls from the Piedmont Emergency Department in Ellijay. Capital expenses continue to include a 2,000-gallon pumper truck to carry water to areas of the county. Public Safety Director Tony Pritchett spoke to the board saying that several areas of the unincorporated parts of the county are without fire hydrants. As such, the need for large amounts of water to fight fires is especially important in those situations. Additionally, keeping a maintained and working truck for those areas and ambulance fleet were key factors in ISO safety ratings for the county as well, affecting insurance rates and liability. Additional needs fell to turnout gear and equipment for the department’s firefighters, a new emergency operations command, and a new mobile command unit for the department. With so many large expenses, the board has already indicated cuts in the area as they began questioning the department on what it would mean if they only got some of the turnout gear and options on the EOC and training increases as well as partnering with the school system as they have utilized the old Oakland Elementary building for training. Requests for capital expense could see the Health Department changing its outside areas as concerns were raised over handicap accessibility at the Health Department. They are looking to put in automatic opening doors for handicap access as well as possibly changing the parking lot as to where the handicap parking is in relation to the access ramp. The Library has increased its requests over the 2018 budget as they have seen increased traffic in the department. With more people utilizing the library for multiple needs and events, the budget has seen shortfalls this year. Salary increase requests could also see changes in the department alongside concerns over health insurance costs. However, changes to the 2019 budget’s health insurance did offset part of the need. Talks also arose about a second access point to the library as the basement project will likely begin before the new year. While no set plan was decided, officials are looking at both access for patrons later, but also construction and renovation workers that could spill over into the early part of the year. The board discussed issues with the courthouses capstone discoloration and options for solutions. While the main option included painting the stones, the price quoted at $11,950. Addition issues involved the iron railings in certain areas are beginning to wear down and also need painting, which would increase that cost. An additional $15,000 was requested for replacing the carpet in certain high traffic areas of the courthouse. The department is also looking for two new additional maintenance workers included in the budget requests. The major project of upgrading the courtrooms also fell into the capital budget for $195,000 for three courtrooms in the audio/visual systems. Discussions continued about options of maybe upgrading one courtroom at a time. The problem with that option comes with needing to maintain both systems during the years of transition. Concerns over the Parks & Recreations budget also centered on wages with a high point in “mowing season.” While Parks & Recreations Director Kevan White said staffing was adequate, he noted several times employees have hit overtime in high traffic times. The commissioners are still looking at pool costs and balancing against staying open year round. Separating costs and upgrades for heating the pool and costs for staying open, these will be reimbursed from the community and the clubs supporting the change. This is a new change as the Commissioners looked closer at how to budget for the off-season operations. Continuing to seek grant funds for upgrades and repairs to areas of the park, the department is continuing its work from this year to change and update the park area. Like most departments, Probate Judge Scott Chastain said one of the office’s largest problems is fighting against the loss of staff. As he requests a 50 cent raise for most clerks, he is also looking for a larger raise for an appointed Chief Clerk who would fill in for the Judge in days where he may be out of the office for training courses or other responsibilities that may take him from the office. 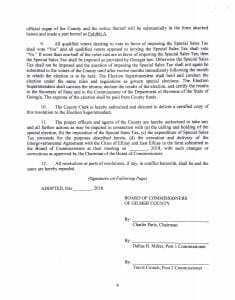 Chastain told the board that this position would cover only for administrative duties and signatures, he or she would not be able to do anything in the courtroom or handle those types of responsibilities. 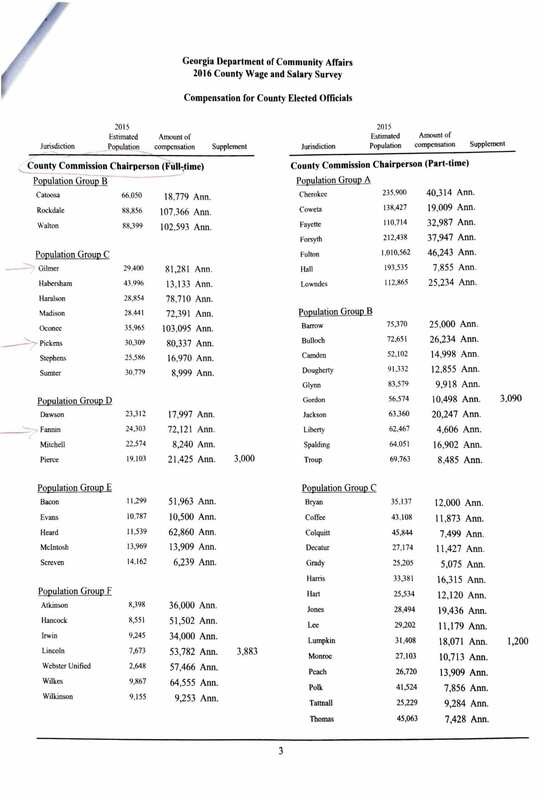 Another increase in the requested budget fell into travel expenses as he would want his chief clerk to attend certain training sessions in the next year to experience some of the training he sees for the possibility of her filling in for those administrative duties. Clerks in the office are also gaining state certifications, this could include an award ceremony for those who gain the certification, a ceremony Chastain wants to send those clerks to as a reward for their work. Additionally, the office could be looking for a conversation about separating the elections from the Probate Office. 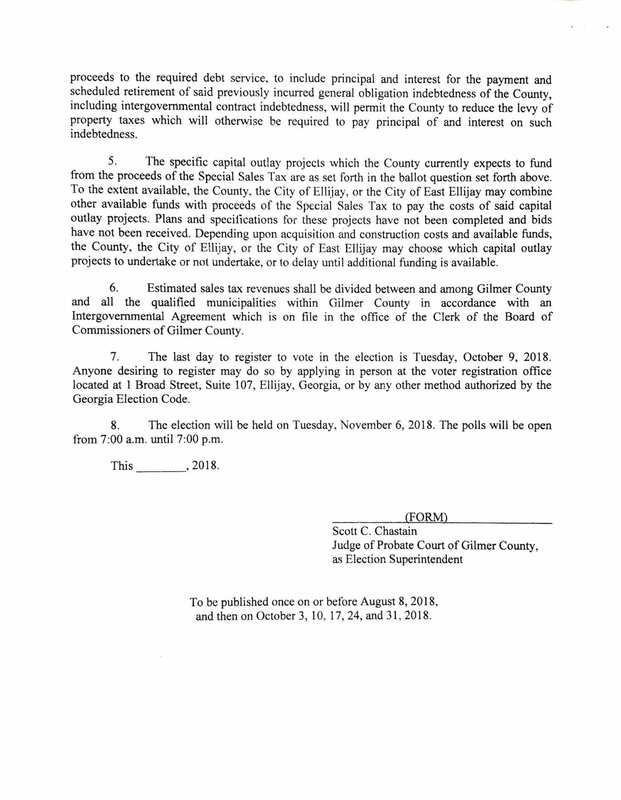 Chastain asserted that this was just a conversation at this point as he wanted to explore the option with the commissioners, an option that he says the majority of counties in the state have already done. Increases are set to come to the Public Works office as the board is attempting to respond to continuing citizen concerns by adding 8 positions back to the Road Department. Paris has noted over recent years that these positions are being added “back” to the department as it is still understaffed compared to what it was before the recession. As the board increases efforts in the department to better handle the large mileage of roads in the county, they are still raising concerns about the increasing costs of materials each year. Stone and asphalt are two major needs in the road department, both have seen major increases over recent years. Public Works Director Jim Smith also noted that even with the increase in staff, he still expects to have to shift workers around and pull from certain crews for major projects like the annual LMIG paving. He also noted an increasing need to continue replacing equipment across his departments like the aging asphalt spreader. Some increases are being mirrored into the revenue side as well as slight increases are being planned in the solid waste department based on trends in past years. Planning for these increases helps offset some costs, but major projects are also coming with issues that Smith is reporting for the solid waste department’s scales and lift stations. Discussions have already begun about prioritizing these capital expense needs over and above the Maintenance and Operations Budget. 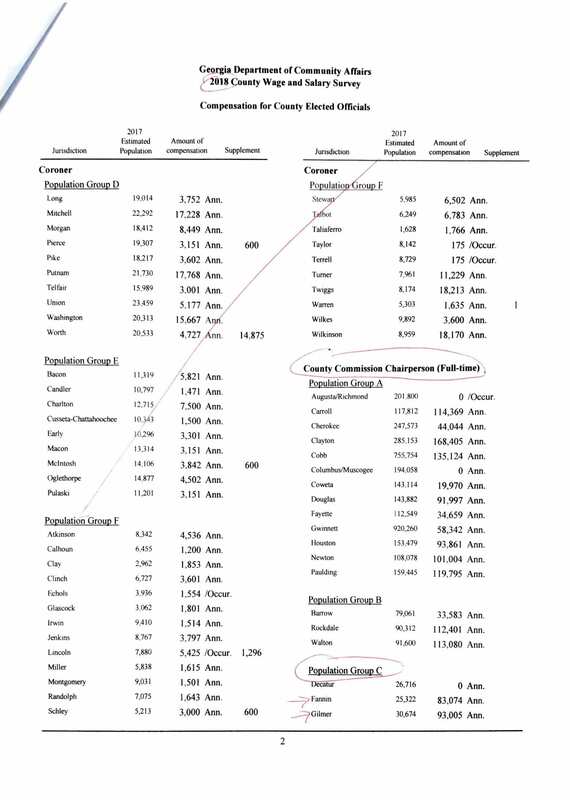 Another increase in salary and wages, the Registrar’s office is tracing increases in workload back to state-mandated changes that are registering massive numbers of people to vote as they apply for driver’s licenses. This program is also registering numerous people who are not allowed to vote or already registered to vote. 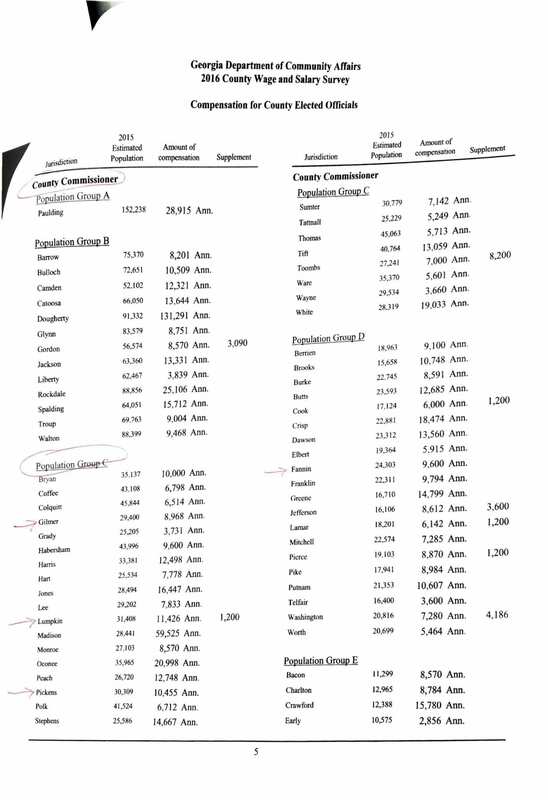 The added work hits the Registrar’s Office as they are having to find these duplicate registrations and combine them as well as finding registrations that must be deleted felons not allowed to vote. Especially during major elections, the department is reporting that they cannot operate further without a full-time employee set to operate every day alongside the part-timers. Capital projects like a new water well and a pavilion sit on the golf course’s budget for the coming year. Increasing the appeal and accessibility to drinkable water on the course aren’t even the largest items. Efforts are continuing to update the course as it draws closer than ever to becoming self-sufficient. This has been a major desire of the commissioners in the last four years. In 2019, the budget requests are so close, around a $22,000 difference, the commissioners are looking at minor budget changes to connect the small gap. With confidence that the goal could be reached, they pushed forward in discussions and capital needs. However, Paris cautioned the board saying that if they pushed too hard to balance this budget, they could get unrealistic numbers. The course is also requesting capital funds for newer Golf Carts, a range picker for the driving range, and a security gate at the maintenance area for those golf carts. An option was put forth to split the costs of the security gate over two budgets, but nothing has been set yet. With the Commissioners set to discuss and balance the budget in the coming weeks, the have the finalized budget requests as a starting point moving into these discussions. Make sure to check out both the 2019 Requested Budget and the current 2018 Budget in preparation for this week’s meetings. 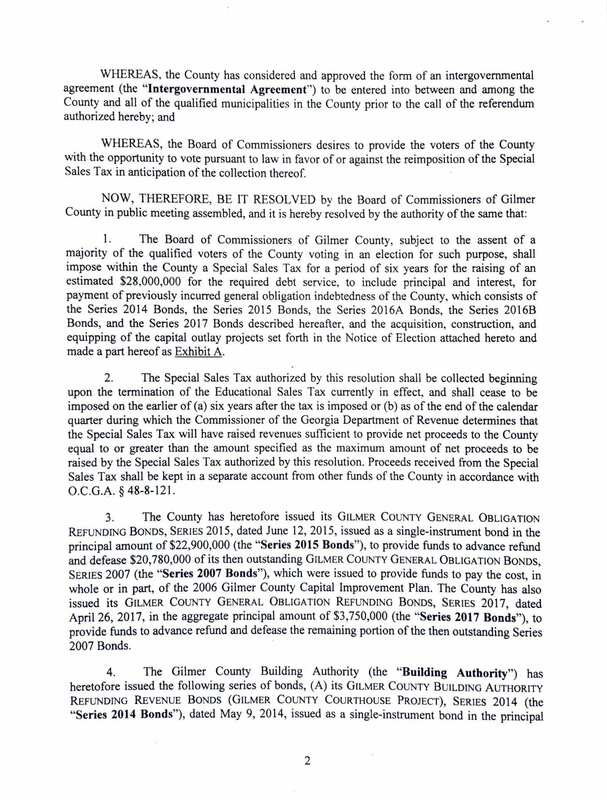 ELLIJAY, Ga. – Budget adjustments are some things the county has grown accustomed to over the years as the Board of Commissioners continue running the county through unexpected expenses throughout the year. 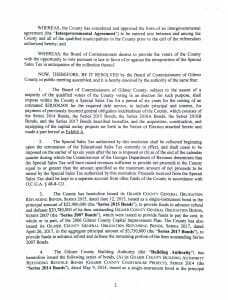 A disputation arose in the board’s April meetings when the subject of amending the county’s 2017 budget for final amendments was discussed. 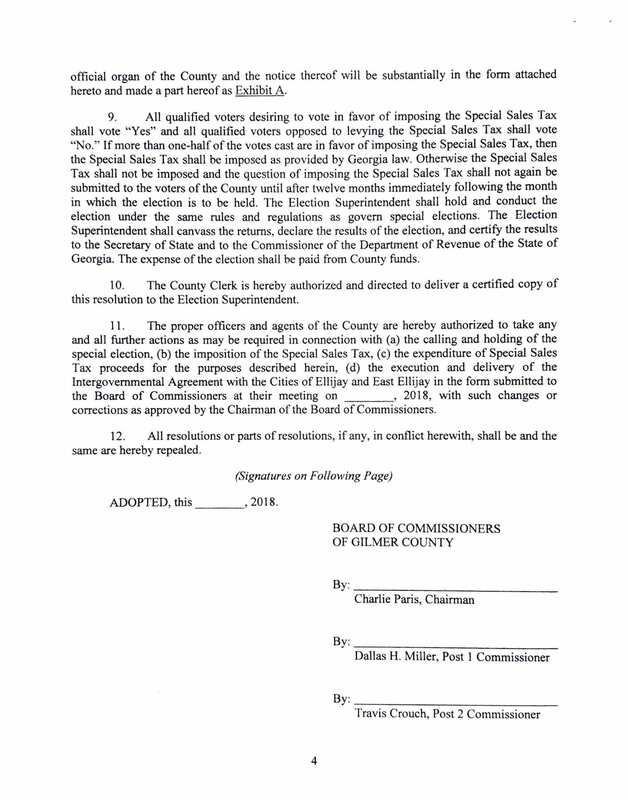 While the county has moved to less amendments over the last few years in an effort to make the budget audits look better, Post Commissioner Dallas Miller began the debate saying he felt the amendments degraded the integrity of the budget and made much of the work that the commissioners and their staff completed meaningless. Every month, the commissioners’ Financial Officer Sandi Holden delivers an update on the budget. 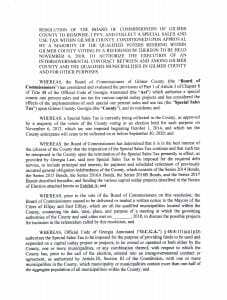 When adjustments come before the commissioners, if they approve the amendment, they have typically agreed on amending the budget, but put off the official resolution so they are not continually amending the budget over and over throughout the year. 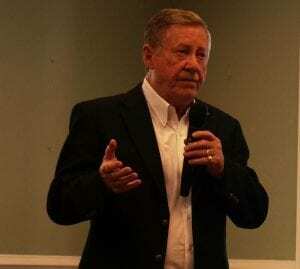 Miller called the budget a “promise” to the county about their plans for the coming year. He went on to say the budget was meaningless as they “zero” the budget at year’s end, effectively rewarding those over budget. The budget has been a point of contention over the last two years in the board as countless hours are spent near year’s end on preparing for the next year. 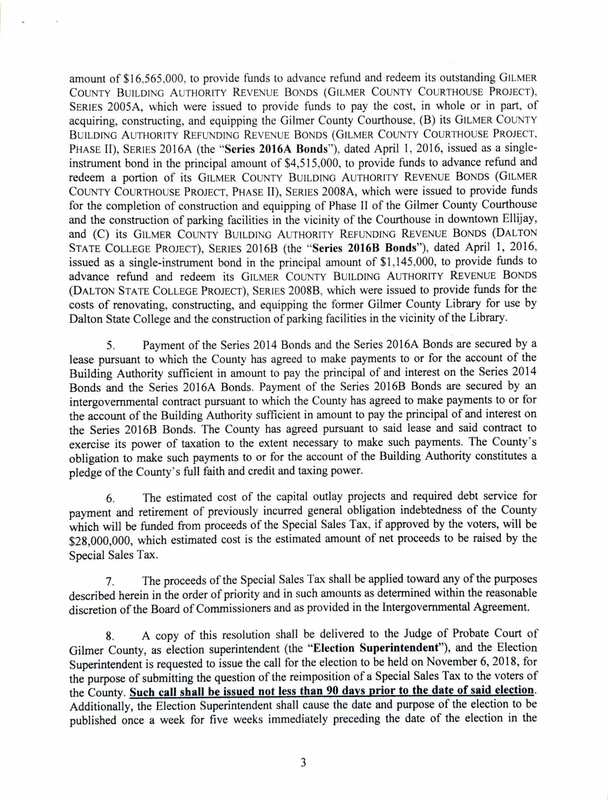 This month’s discussion on the budget grew into two topics as Post Commissioner Travis Crouch branched the discussion into another point when he mentioned that the commissioners approve unexpected expenditures and he felt they should reflect that so as not to “punish” those who may be over their original budget, but due to a commissioner-approved expense. Crouch said that approving the amendments in April expose some of these departments and offices to appear over budget in reports for numerous months before they are finally changed. 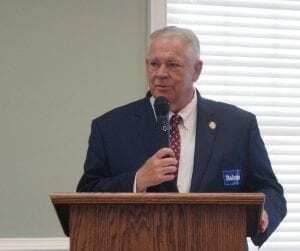 Crouch noted the county’s recent un-budgeted expenditures, including those for the deputy to supervise inmate trash pickup as well as a change in probation funding for the three-county organization. Crouch said, “It’s not a perfect science,” but pushed for more amendments throughout the year to reflect those changes. 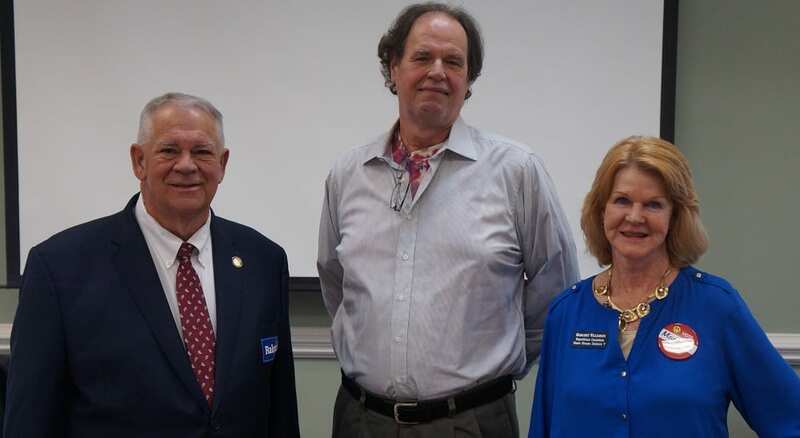 Delving deeper into the issues, the concerns of departments heads echoed Crouch’s concerns saying they hoped the county would respect those who stay under budget by amending their budgets with those approved by the board during the year. Finalizing their approval at their regular session, the commissioners approved the amendments on which they had agreed throughout 2017, movement of funds to contingency, and agreed to move forward with quarterly amendments instead of one or two per year to more compromise between keeping the number of amendments through the year lower and keeping the monthly report as real and up-to-date as possible.